A rich and chewy oatmeal porter with a plethora of biscuit, crystal and roasted grains. 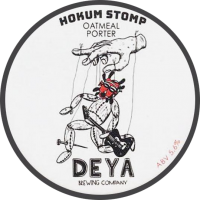 Founded in 2016 by Theo Freyne, Cheltenham- based DEYA focuses on brewing fresh, delicious beers with a focus on the soft, intense and hoppy. After completing a degree in brewing and distilling at Heriot Watt university in Edinburgh, Freyne gained commercial experience at Five Points in London and Odell Brewing Company in Fort Collins, Colorado. DEYA acquired their kit from Cornwall’s Harbour Brewing, and started brewing at their current location in 2016. Flagship beer Steading Rolling Man (a hazy and juicy pale ale) fired them into the spotlight and they now struggle to keep up with the demand. 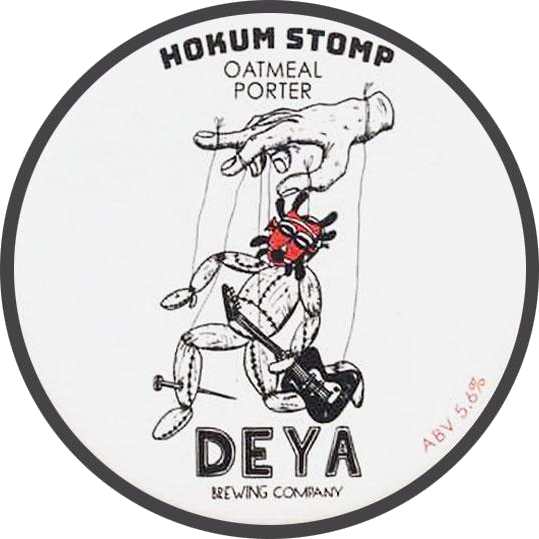 Hokum Stomp is a rich and chewy oatmeal porter with a plethora of biscuit, crystal and roasted grains. It has a luscious, smooth milk chocolate flavour and texture with a dark fruit and coffee hit coming from a combination of an intricate malt bill and English Bramling Cross hops.